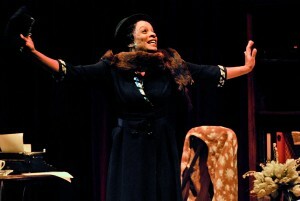 Though actress Vanessa Bell Calloway delivered the line, playwright Gabrielle Pina certainly understood the need to convey touching tales with her play Letters from Zora, which was performed Saturday in Bovard Auditorium and tells the story of one of America’s most talented and underrated writers: Zora Neale Hurston, most famous for her novel Their Eyes Were Watching God. The one-woman show played to a packed house, drawing audience members of all ages who were keen to get a peek into the private life of one of the greatest black authors in history. But even for those who were unfamiliar with Hurston’s work, there were several reasons to attend the performance. For starters, Calloway’s presence generated some buzz. The actress has been nominated for eight National Association for the Advancement of Colored People image awards, and is famous for lead roles in Coming to America with Eddie Murphy and What’s Love Got to Do with It with Angela Bassett and Laurence Fishburne. Then there was the opportunity to witness the work of USC Professional Writing faculty member Pina. Winner of the 2002 Pacificus Literary Prize for achievement in short fiction, Pina is renown in the literary world and has published two successful novels: Bliss and Chasing Sophea. 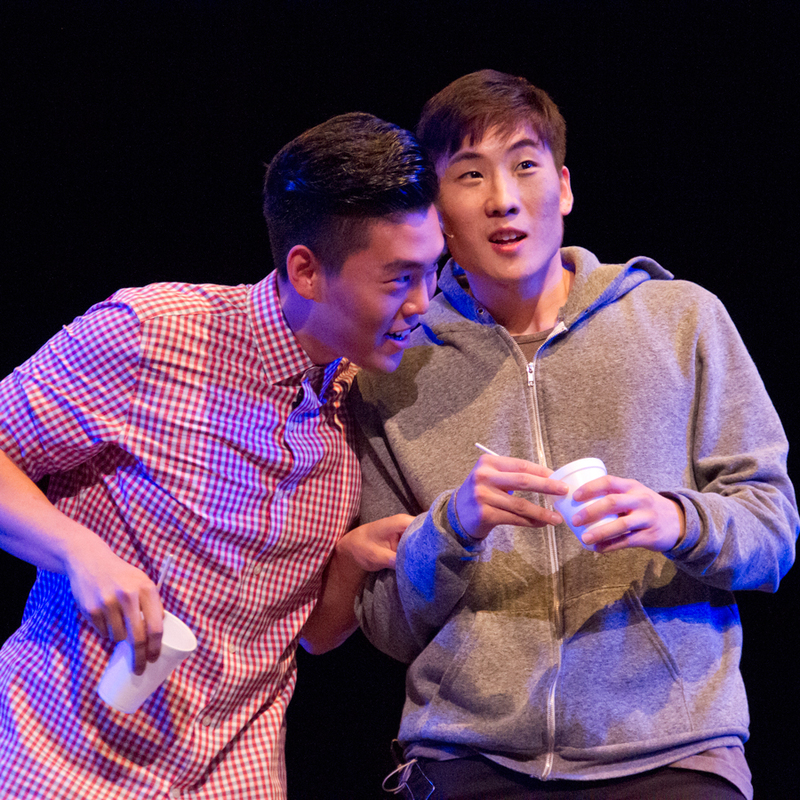 The combination of literary and artistic talents had the potential to make the Visions and Voices: The USC Arts & Humanities Initiative event a smash and left audience members in eager anticipation. 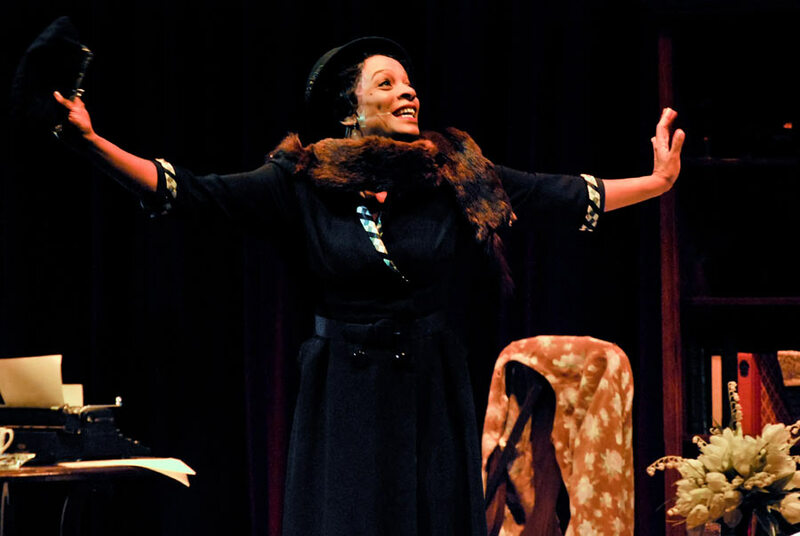 The production ran a little more than an hour and encompassed Hurston’s broad life story, ranging from her early days in the Harlem Renaissance to her travels in Haiti and Honduras to her death in Fort Pierce, Fla. Calloway, as Hurston, narrated encounters with Langston Hughes, Dorothy West and other members of the Black Arts Movement as she glided across a stage set only with carpet and a few pieces of furniture while a small jazz ensemble played in the background. And because Pina’s play pulled material from genuine Hurston letters, the production brought a haunting authenticity to its historical narrative and informed even as it entertained. Though one-woman shows can easily bore an audience with verbosity and minimal spectacle, Calloway’s performance was anything but dull. The actress’ warm, dark voice filled the auditorium and made audience members feel as if they were truly part of an intimate conversation; the presence of another actor would have felt intrusive. In addition, Calloway’s diverse talent dominated the stage. She was able to switch from a young, provocative girl to a withering old woman in mere seconds, demonstrating her technical abilities and ability to connect with the character. Calloway’s performance was accented by assistant professor of theatre Tom Ontiveros’ projection design. As Calloway regaled the audience with Hurston’s biography, Ontiveros projected fleeting images of letters, photographs and historical figures onto a suspended screen. The added visual context brought realism to the performance’s more abstract choreography and was helpful without being distracting. Yet with all the gaiety and vivid display the performance offers, Letters from Zora’s darker elements bring a level of sobriety to the production. Pina’s play doesn’t shy away from Zora’s challenges with racism or the false accusations of child molestation against her. 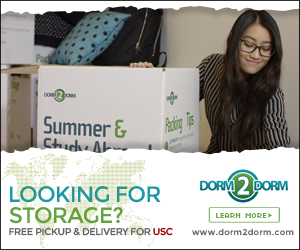 Instead, the show highlights the good times and the bad, depicting the fluctuating turmoil of human life. Audience members got riled when Calloway described Hurston receiving only a $200 advance for a novel, compared to the usual $5,000 advance for white authors from the time period; Ralph Ellison’s dismissal of Hurston’s work as unsuited for black progression also elicited surprise and disdain. Pina’s script displays blatantly cruel facts even as it flaunts jokes, adding details to a previously muddled history and also creating a sense of present-day purpose. Underneath all of this was a jazz quartet directed by music professor Ron McCurdy. The group enhanced Calloway’s performance with lulling piano and vibrant bass, perfectly setting moods of sorrow and joy. And even with the soundtrack-like quality of the performance lingering in the background, Letters from Zora never calls attention to itself more than necessary, making it very easy for audience members to forget the technical and remain immersed in the story. The nearly flawless performance made it impossible to not be touched by the direct and authentic interaction with history. When the curtains parted and Calloway, Pina and director/assistant professor of theatre practice Anita Dashiell-Sparks stood onstage together, it was hard to ignore the feeling that there should have been an extra place where Hurston herself could stand. The play was breathtaking!!! I learned so much about Zora and was blown away by how well Vanessa Bell Calloway performed and how well Gabrielle Pina wrote the play. This is definately amazing talent. I hope that this play spreads across the nation. I see Gabrielle Pina’s work as surpassing Tyler Perry. She is truly gifted. Can’t wait to see the next performance. Great Work!!!! i love how this article opened with the line i struck me the most! this play was so great and completely reignited my love in reading and reading zora…. Absolutely spellbinding performance. Vanessa Bell Calloway was magnificent and the story was moving. Would love to see it again…such reach dialogue and complex story. This bares seeing again.